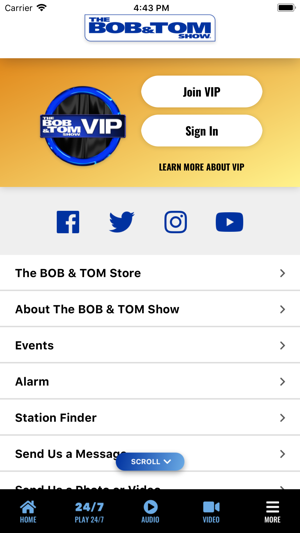 With the NEW BOB & TOM Show radio app you can connect with the BOB & TOM Show like never before. • Tune into the BOB & TOM Show live on your favorite station. • Find your closest station through geo-location and set it as your favorite! 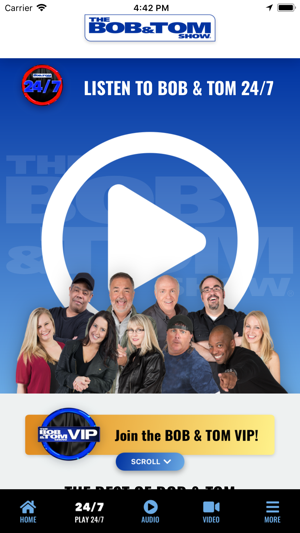 • Listen to the best of the BOB & TOM Show on B&T 24/7 the rest of the day. B&T 24/7 is a comedy channel featuring the best bits and segments from our vast archive of the world's best comedians and entertainers. • Access BOB & TOM Show social media with or without an account. 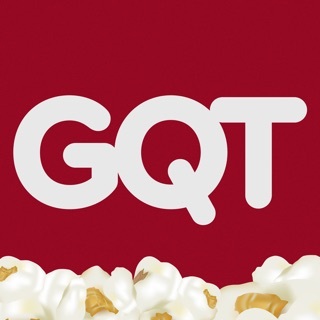 Sign in to interact with the show. 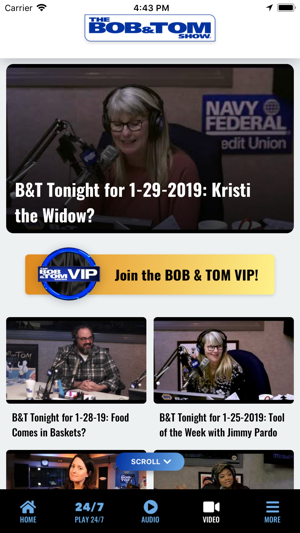 • Experience Bob & Tom ad-free as a VIP listener! • Listen to the Free B&T podcast with recent highlights of the show. • B&T live video feeds and much more! Minor updates to the way the stream feed is read and displayed. This version looks great and has added a few features but sadly it’s left out some key features of the old app. First, the app now doesn’t show up on my Apple Car play anymore. 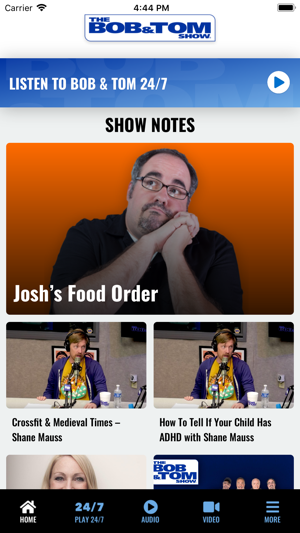 Because it doesn’t show up, I can’t control it from my radio and have to pick up the phone to start the app. Why, you may ask? Because, if for some reason the app stops broadcasting because I took out one of my AirPods, the app won’t automatically resume play like the old one did when I put reinsert the AirPod. It does the same thing when a call or text message comes in. I have to pick up the phone and manually press stop, then press play. It has actually removed the safety features that keeps your eyes in the road. It still has the great content, but it’s not as user friendly as before. I am sure like many others that love listening to Bob and Tom and have done so for a long time we are frustrated with this app. I too cannot control the app through CarPlay. I am forced to pick up my phone while driving to start playback or continue playback when service stops due to a phone call, a text or loss of signal due to any number of issues. I listen nearly 100% of my driving time to B&T over CarPlay but with this new app for the first time I am getting angry and choosing other options such as my cars radio or even just Apple Music. I am certain that a fix will eventually come but I will take a break from this app and check back later. Hope this is fixed sooner versus later.